As leaders in providing professional services to the insurance industry, Deloitte works with clients to address a range of critical issues brought on by globalization, advances in technology, regulatory changes, competition and the changing demands of their customers. Our national cross-functional industry group is comprised of more than 2,050 professionals, providing a spectrum of assurance and advisory, enterprise risk, tax, actuarial, regulatory and consulting services to a broad range of insurance companies. Our clients range in size from global to middle market insurers and include life insurers, property and casualty insurers, reinsurers and brokers. Our Sector Packages practice encompasses industry vertical, sector specific solutions that leverage distinct technologies to drive operational change and automate the core of the business. Examples of the type of work we deliver to our clients includes Digital CARE (Epic), Insurance CST (Guidewire), and Digital Banking Solutions (nCino). 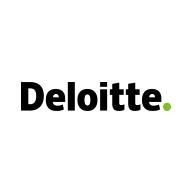 The team brings experience from across Deloitte to leverage common approaches, best practices, and strategic investments to scale these solutions by industry strategy. Professionals will focus on key client issues that are at the core of the business by integrating our industry expertise with deep technical and operational transformation capabilities. Experience with Guidewire, Duck Creek, Majesco or similar package required. Experience with Camilion preferred but not required.